Aikido is a purely defensive Japanese martial art dedicated to resolving conflict in the least harmful way possible. Aikido means, literally, harmonious (Ai) energy (ki) way (do). 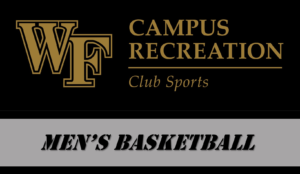 Wake Forest Archery was founded in 2009. The club started with only a few bows and a single target. 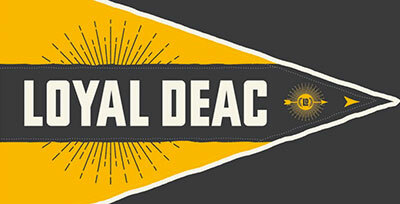 Today, we have many club members and several “varsity” (competitive) members. We have our own storage unit, club bows, targets, 3D targets, and more. We are proud to be a no-cut club open to all Wake Forest students, providing access to coaching, equipment, storage, and a field. We have varsity members who compete in all 4 official USA Archery collegiate divisions: target compound, bowhunter, traditional, and olympic recurve. We travel to 3-6 competitions a year and have brought home numerous medals in past years. All welcome to join us! No experience required! We regularly practice every Friday and Saturday from 8 pm to 10 pm. 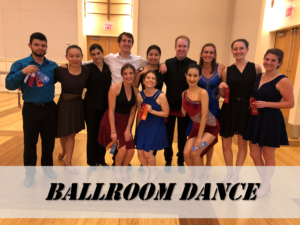 The Wake Forest Ballroom Dance Club strives to teach people how to dance and challenge those who already know how. We welcome students of all experience levels and help them to learn a wide array of dance styles for every occasion, ranging from a social to a competitive setting. For our club members, we want them to feel welcome participating and learning with any or no experience and enjoy learning the different styles. We want to foster a love for learning to dance. For those who wish to join the competition team, we strive to teach them the technique and skills to adequately prepare them for competitions each semester. 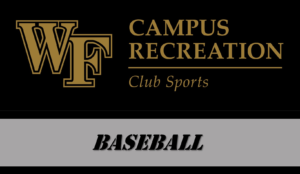 The Wake Forest University Club Baseball Team is a student run organization that competes against club teams from other universities. The Club holds both a short fall season and a longer spring season. Welcome to the Wake Forest Women’s Club Lacrosse! We are a tight-knit team of women who practice twice a week and have games throughout the fall and spring semester (to be announced). Continue to check this website for information about tryouts and practice times! We envision the Mixed Martial Arts club as an organization in which individuals can enhance their understanding of a diverse range of martial arts and fighting styles. Students would be exposed to several distinct styles of martial art and would be encouraged to experiment and develop a style that suits them. Momentum Crew is Wake Forest University’s hip-hop and urban dance student organization. While our focus is in urban dance styles, we embrace all styles of dance from hip-hop to contemporary to jazz and beyond! We operate as both a competitive and showcase performance crew. Our number one focus is the Momentum family, supporting, encouraging, and challenging members and alumni to be the best dancers, students, and people they can be! We hold auditions early every fall semester, no previous dance experience required. The Wake Forest Rowing Club is an entirely student-run organization which was founded in 1998. 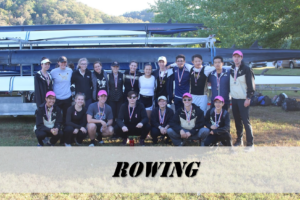 For the 18 years that the team has been competing, we have consistently been a serious competitor at the club level in regattas throughout the southeast, as well as at the national level. As the club grows, we will continue to strive for excellence both on and off the water. We are proud of our student leadership, and of the fact that everything we have achieved is a result of team members’ hard work and motivation. We strongly encourage potential rowers, alumni, and anyone else who has questions about the program to contact one of the members of the executive board. The organization practices twice a week with one fitness day. The commitment is not overwhelming. This is a competitive club consisting mostly of students who played basketball in high school. There are at least two practices a week and at least two tournaments a semester. The Wake Forest Fishing Team (WFFT) was founded in the Spring of 2009. The team competes in various tournament around the nation. It is open to anglers of all skill levels. The club focuses on the sport of bass fishing, and places a large emphasis on spending time with friends in the outdoors. 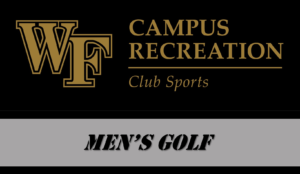 Boxing Club for Wake Forest University. All experiences welcome. Official member of the United States Intercollegiate Boxing Association. Cycling Club at Wake Forest University. We like bikes. We ride bikes, road bikes, dirt bikes, mud bikes. We race those same bikes. You’ll look great in spandex! 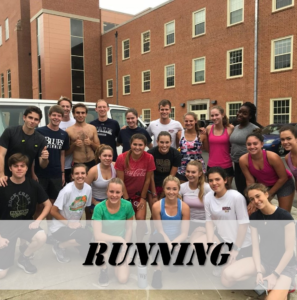 The Running Club is for anyone interested in running and meeting other runners. Competitions are optional but available for anyone who is interested, including cross country, track, and more. The Wake Forest Men’s Club Soccer team is comprised of approximately 35 undergraduate and graduate students. The team is partially funded by the Wake Forest Office of Campus Recreation. 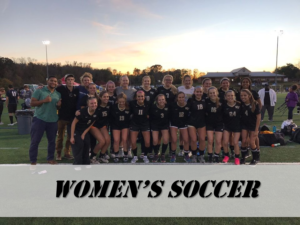 The WFU Women’s Club Soccer Team is an organization for female students who played soccer in high school to continue playing at a competitive level against other schools in the Southeast. 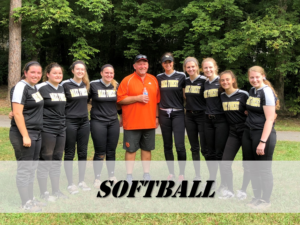 We are a competitive club team that plays in the South-Atlantic East League of the National Club Softball Association. 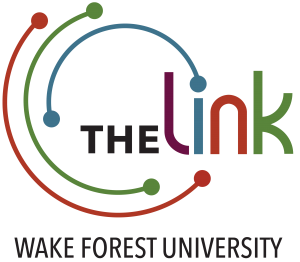 Our conference includes ECU, NC State, UNC Chapel Hill, UNC Willmington, Coastal Carolina, UNC Charlotte, and High Point. We play year round, in the fall from August to early November, and in the spring from the end of February through May. Club Swimming is a competitive yet recreational club at Wake Forest University open to swimmers of all ability levels. We offer practice five times a week and have, on average, two to three meets a semester at other universities within driving distance. The highlight of our season is our trip to Club Swimming Collegiate Nationals in the spring. The Club Climbing Team is a competitive organization founded in 2018 meant for the development of the Wake Forest climbing community by providing its members with proper climbing equipment, training, and education, resulting in a more autonomous community that excel in the sport of climbing. We compete in local and regional USA-climbing sanctioned competitions throughout the Southeast. Come climb with us! 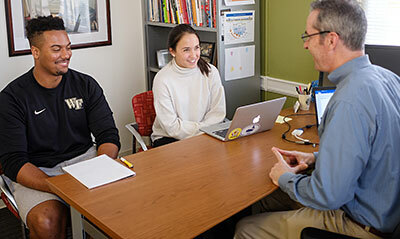 The Wake Forest University Equestrian Club exists to unite members of the Wake Forest community. We share a common interest in equestrian activities and represent Wake Forest at competitions through Intercollegiate Horse Shows Association and Intercollegiate Dressage Association. Wake Forest’s fencing club meets three times a week for two hours. Our current practice schedule consists of fencing Thursday 8-10 PM and Sunday 3-5 PM in the Sutton Center and conditioning in the gym Tuesday 8-10 PM. We learn all three weapons (foil, sabre, and epee). We have our own coach and accept all skill levels, including brand new fencers. Welcome! If you are looking for a cool group of athletic guys AND girls who can be intense, dedicated and fun, this is your club sport. Our players come with a wide range of field hockey experience. Some have years of experience and come from competitive high school programs and played year round. Other players have been “recruited” by their friends or roommates and pick up a field hockey stick for the first time on the first day of practice. We compete in two tournaments per semester both individually and as a team. We strive to be competitive in every tournament while keeping the integrity and name of the university we attend. Club Karate is the oldest club sport at Wake Forest University. We practice a variety of martial arts styles, primarily traditional Korean military taekwondo. We aim to learn self-defense, explore and refine technique, exercise, and have fun! 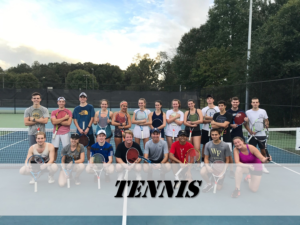 Club tennis is a way to make competitive tennis an option for those players who put academics before athletics and to create an atmosphere of competitiveness, camaraderie, and sportsmanship. 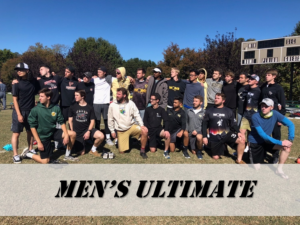 WOMB is the Men’s Club Ultimate Team for Wake Forest University. 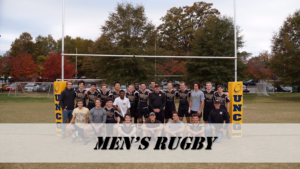 We travel throughout the Southeast during the fall and spring semesters for tournaments which culminates in the National tournament. 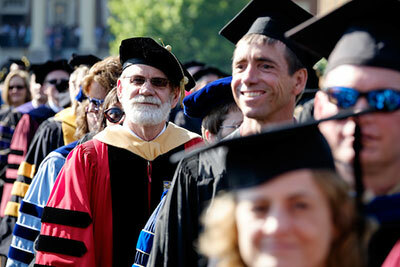 We compete at the DI level with many of the top schools in the nation. Ruckus (Raging Unleashed Chicks Kicking Ultimate Sass) is the Wake Forest Women’s Club Ultimate Frisbee team. 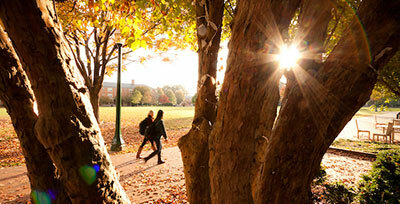 We practice 3 days a week, on campus. We spend most of the fall season training new students. We are a close team who loves hanging out and playing together. 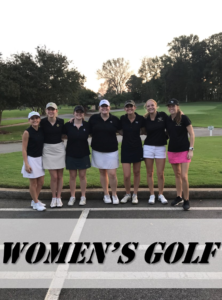 Created in 2007, Wake Forest’s Women’s Club Golf team is one of only 3 women’s teams in the nation! Year after year, we continue to improve the program with talented and enthusiastic golfers as we compete with other teams in North Carolina. The Club gymnastics at Wake Forest is a group of gymnasts with a wide range of skill levels. We gather each week at Flip Force Gym to learn new and improve old skills and routines. We compete a few times at local meets through out the year, and we compete at Nationals every spring. 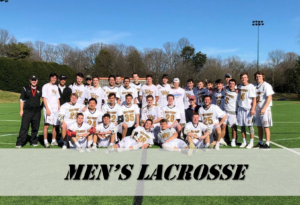 The Lacrosse Club was founded to allow Wake Forest lacrosse players to compete at a high level while still allowing them to be involved in other area of campus. Our team is composed of 25 to 30 members. The Wake Forest Men’s club volleyball team is a great group of both beginners and experienced players who practice weekly and travel to tournaments throughout the year. Women’s Club Volleyball has practices 3 times a week, goes to about 4 tournaments a semester and attends Nationals every spring. It consists of about 20 girls from all grades who all share a passion for volleyball. The mission of Club Water Polo Team is to encourage growth, learning, and enjoyment through the sport of water polo. 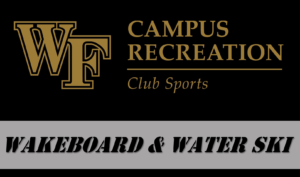 The Club Water Polo Team seeks to expand and promote the sport of water polo. 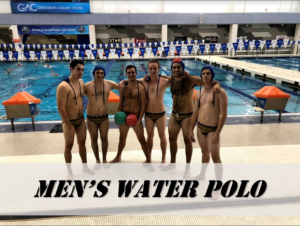 The Club Water Polo Team strives to engage the community through events, meetings, practices, and games in a social setting. The team competes against teams from other schools in the Atlantic Division of the College Water Polo Association such as UNC, Duke, and NC State.